New Hampshire has 27 designated opportunity zones, all of which are low-income communities. New Hampshire did not designate any eligible non-low-income contiguous tracts as opportunity zones. 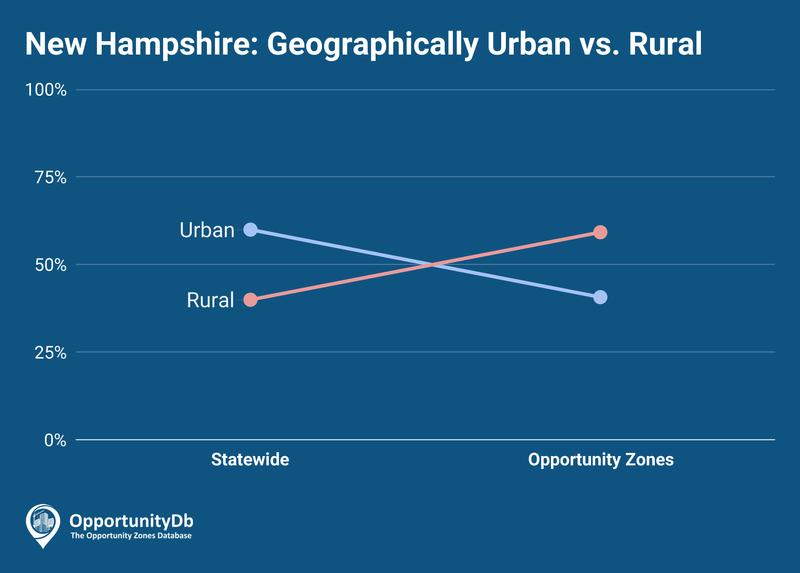 New Hampshire favored their rural census tracts during the opportunity zone nomination process. While urban areas account for a 60 percent majority of census tracts statewide, rural areas account for a 59 percent majority of the state’s opportunity zones.